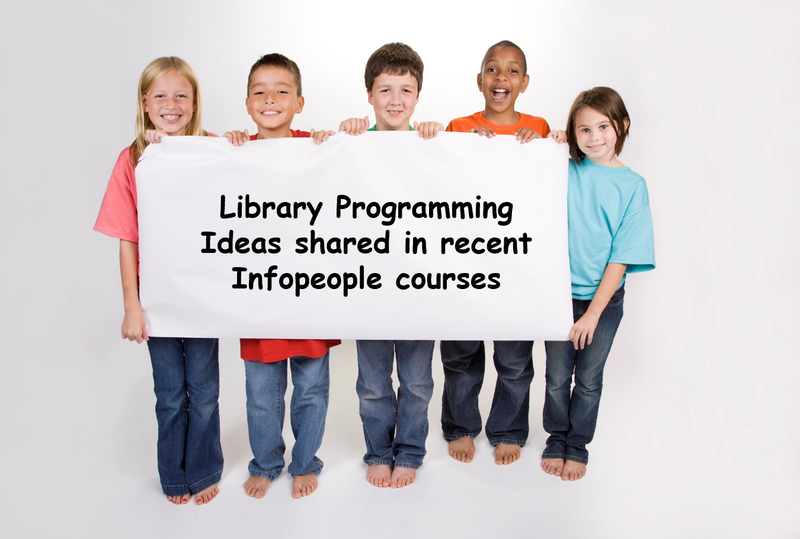 Are you always looking for interesting programming ideas? We’ve pulled together some ideas and resources that were shared in two recent Infopeople courses. Children’s programming ideas from Penny Peck’s Children’s Programming on a Budget course.